Everyone knows by now what a bucket list is, yes? If we didn’t know the expression before the Morgan Freeman/Jack Nicholson movie, we surely learned it then: it’s “a number of experiences or achievements that a person hopes to have or accomplish during their lifetime.” The unspoken part being: before we kick the bucket. There’s also the Reverse Bucket List (RBL), which, especially for us over-50 adventurers, provides life satisfaction. The Reverse Bucket List contains all the things you’ve already accomplished, and that make you feel proud/happy/satisfied. 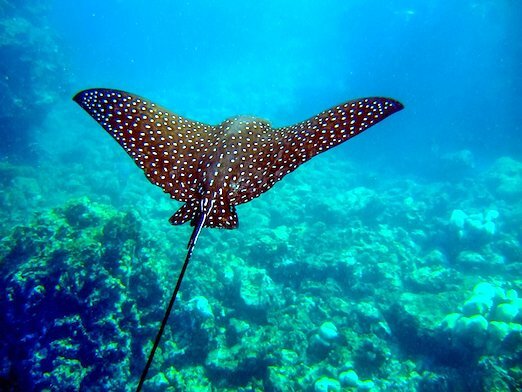 I scuba-dived with a giant spotted leopard ray. She swam right over me. It was a WOW, ninety feet under the surface of the ocean. We now have a (miniscule) studio in New York City, greatest city in the world. I changed careers at age 39, to do work that made sense for me. I’ve never come close to earning what I did in real estate, but the happiness quotient went sky-high. 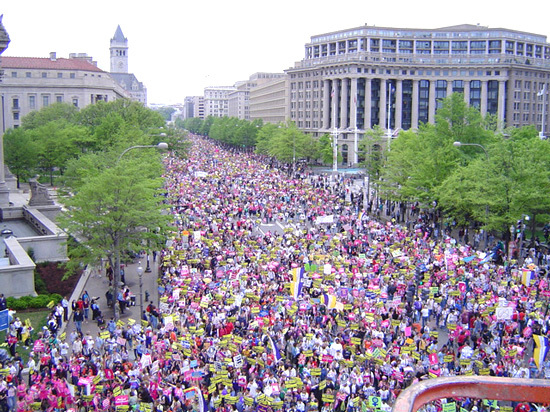 I marched with over 1,000,000 other people in Washington, D.C. for women’s healthcare rights. And still on my personal bucket list: lunch in Paris, singing in public, a cruise down the Rhine, becoming native-level in a foreign language. Sandy and I were there. What a moment. Picture source. And, since we’re a community of stylish women (yet so much more), here are some of the fashion-specific accomplishments on my RBL. I learned to buy second hand, somewhere in my 50’s. I know, what took me so long? Now it’s completely changed my style and how I view my wardrobe. And I can afford to buy Really Nice things (see below) at crazy prices. 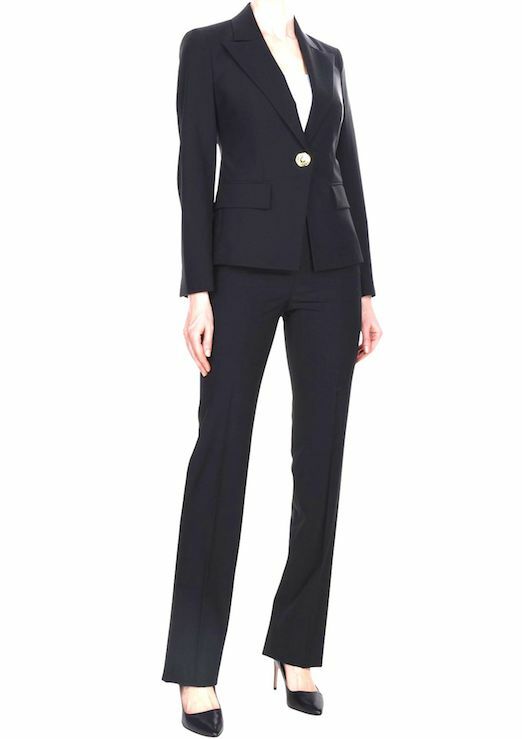 I bought a black fine-wool Versace pantsuit, with tags on, at the local thrift store, for $100. I’ve only worn the jacket piece, not the whole suit together, for no good reason. Must remedy that asap. It looks like this; what am I waiting for? Pic source. Please be aware that links to vendors may be affiliate links. I do benefit from your purchases through the links on the blog. Header image source here. That Versace suit is sharp. It has been cool watching you get your NY apt. after reading about it being a goal. Rewarding watching you realizing your dreams and it confirms we can still make moves at any age. Also, that march is cool. Sexism is so downplayed and I love that women are responsible for the biggest march in history. We show up!!! Such lovely lists, Patti! There are many wonderful adventures I have to look back on in my decades on earth and it’s rare for me to think back on them. Your post gives me an opportunity to do just that. I recall great travel experiences, fun jobs I’ve held, higher education I’ve achieved, the languages I’ve learned (three just enough to get by, one nearly fluent), and living in a city I love. I forget sometimes the life I’ve led and spend too much time comparing my life now to that of others who seem to be living bigger and better. This exercise is good for reminding me that I’m doing a-okay. I am very jealous of your sting ray adventure. I swam with massive sea turtles in Hawaii which was an incredible experience. One feels so small in the universe. I also learned to shop secondhand in my late 40’s. I too wish I’d started earlier. I forced myself to learn French by moving to France after failing miserably at it in university. It was a pivotal moment in life as I met my husband there. I became an entrepreneur in my 30’s. I thought that a “reverse bucket list” was a list of things you would NEVER want to do. Me? I NEVER want to swim with sharks, or climb Mt. Everest, or ride a donkey to the bottom of the Grand Canyon. A similar sort of list would be people whom you NEVER want to meet/have met: Jack the Ripper, Adolph Hitler, the Emperor Caligula, etc. etc. Your list sounds like a wonderful memoir of a life well spent, to this old gal.